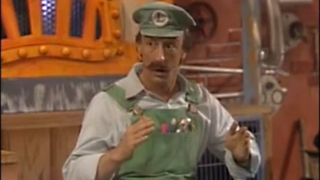 Canadian actor Danny Wells, best known among gamers as the man who played Luigi on the late-80s TV show The Super Mario Bros. Super Show, has died at age 72. According to his obituary in The Montreal Gazette, Wells, whose actual name is Jack Westelman, passed away last Thursday, November 28. In addition to his role on The Super Mario Bros. Super Show alongside the late Mario actor Lou Albano, Wells had a recurring role on The Jeffersons and did voice acting for many other films and video games. A sad day all around.